RICHMOND, Va.—Southern Baptists celebrated the sending of 66 new International Mission Board (IMB) missionaries on Wed., Sept. 26, at Richmond, Va., Grove Avenue—with each new missionary sharing firsthand how God has woven throughout their lives a desire to take His Gospel to people who have never heard it. Of the 66 new missionaries, 11 have ties to Oklahoma, either by upbringing or education. Many of the 11 are serving in closed security locations, and IMB has assigned these missionaries publicity names (identified with an asterick). Caroline Reel is one of the new IMB missionaries with Oklahoma connections. A member of Tishomingo, Bullard Chapel and a graduate of Oklahoma Baptist University, she will be serving among refugee people in Uganda. Other new IMB missionaries representing Oklahoma include Mark and Amy Chambers* who will be serving North African and Middle Eastern peoples; Edwin and Mandy Crow* who also will be serving North African and Middle Eastern peoples; Bintang and Dian Phan* who will be serving East Asian peoples; Isabella Fox* who will be serving Southeast Asian peoples; Jake and Ginger Goss who will be serving Sub-Saharan African peoples; and John and Joanna Staples* who will be serving North African and Middle Eastern peoples. Participating in the IMB sending ceremony were IMB Board of Trustee members, Doug Melton, pastor of Oklahoma City, Southern Hills, and Chris Wall, pastor of Owasso, First. Years ago, as a young couple in Ecuador, Patrick and Victoria Regalado learned of the great need for Hispanic pastors in the United States. In 1988, they arrived in New York City to reach Latinos for Christ. “The last 10 years we have traveled to the Americas and around the United States equipping church leaders,” Patrick said. Now the couple feels that God is leading them to Latin America to equip pastors and leaders. They are sent by Nashville, Tenn., Judson to the Americas. 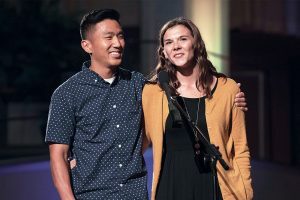 God used the 2015 refugee crisis to move missions from “a good idea” to God’s priority in the lives of Stephen and Amy Morgan, who are sent by New Orleans, La., Lakeshore to European peoples. The path to missions service started eight years ago for Stephen and Kimberly Park, sent by Anaheim, Calif., Saddleback Valley Community with a simple prayer: “God use us to do whatever it takes to reach one more for Jesus.” The Parks will share God’s love in Spain. od saved Jeff Johnson* close to the tragic events of Sept. 11, 2001, and gave him a passion to share the Gospel, with a special burden to share with Muslims. 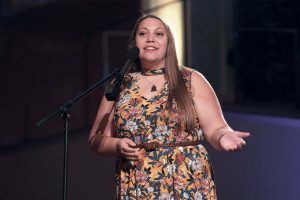 Growing up in a Roman Catholic home in Oaxaca, Mexico, the Lord used a missionary to share the gospel with Sophia Johnson*, and in 1998 on her first mission trip to Cuba, God called Sophia to take His gospel to the nations. The Johnsons are sent to the people of North Africa and the Middle East. As a refugee in the Philippines, Ruby Ng* felt the love of many missionaries. She thanks God for making her one as Ruby and her husband, Peter*, plan to share the Gospel with the 400,000 Vietnamese living throughout Taiwan. 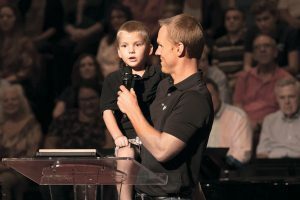 IMB President David Platt welcomed his son, Isaiah, 5, to help share the biblical story of Daniel, found in Daniel 6. From the Scripture, Platt offered four exhortations to the new personnel as they go out into the world with the Good News of God’s love. Reading from Daniel 6, he gave the first exhortation: “May your only offense be obedience to God’s Word.” In the story of Daniel, other people were opposed to God’s law, but they knew that Daniel would be obedient to God’s law, no matter what it cost him. Third, Platt said: “May your constant protection be the presence of God.” He told how Daniel was tossed into the lion’s den for insisting on praying to God, and God delivered him from the lions. Daniel testified to God’s protection, saying, “My God sent his angel and shut the lions’ mouths, and they have not harmed me, because I was found blameless before him” (Dan. 6:22). “Rev. 4:11 says, ‘Worthy are you, our Lord, to receive glory, honor and power, for you created all things, and by your will they exist and were created,’” shared Rose Sharkey*, who is sent with her husband, Alvin*. “God is worthy to receive glory by the proclamation of His name among His creation who do not know Him,” Alvin added. The Sharkeys are going to share God’s glory among Buddhist peoples of South Asia. Like all IMB missionaries, they are supported by Southern Baptists’ faithful gifts through the Cooperative Program and the Lottie Moon Christmas Offering®. The next IMB Sending Celebration will be Wed., Nov. 14, in Richmond, Va.